It was as if we would be gone for a week or two months. Maybe a year-long cruise. First the prep before leaving. My four cats get fed at different places that change from year to year. Their food also changes and the amount so there is always an epic to write for the cat sitter. In number of pages, it rivals War and Peace. I’m the most neurotic cat owner around. The place we go to is a long way from stores. I want to be sure to have everything I need. That influences my packing and my neurotic need to have everything handy. Now for the pharmaceuticals. I get cranky when I have a headache, acid reflux, allergies, itchiness, dry eye, lactose intolerance or a dozen other things that happen to old people. I pack stuff for every contingency including a zombie apocalypse. Pharmaceuticals has its own suitcase! Remember back in the day when you had a toothbrush and toothpaste? No, me neither. I love my electric toothbrush and I have all sorts of gizmos to keep my teeth clean and good smelling. My hair needs a blow dryer. I am not an au natural girl. Now we are talking shampoo, conditioner, styling stuff, brushes and big freaking blow dryer that sticks out of your luggage. Clothing next. The place we go to has crazy weather. It’s very humid but will swing from very hot and humid to cold and damp. It can change in ten minutes but it’s mostly cold and damp. I pack for an arctic trip and a tropical rain forest excursion. I take a fleece throw and socks for sleeping. Just in case. Everything but snow boots. You don’t want me cranky! Shoes are something that take a lot of space. I have learned to do with less. For the 48 hour trip I only took two pair – sneakers and dock shoes. I probably could have done with one pair but I needed the sneakers for hiking. When it comes to food, I get obsessed. We are not big eaters but I pack enough food for an Olympic team. Will I want salty or sweet? (Take both!) Do I have enough carbs? How about fruit. There isn’t enough time to eat everything I bring and the cabin owner stocks for the Sixth Fleet. We could stay for a month without a grocery store run. I wasn’t always like this. When we go to the beach, we can easily pick up anything we need. As we get older our survival instincts kick in. I don’t want to be hungry, cold, or itchy. I had my Kindle along in case I ran out of books. All was good. We didn’t run out of anything! A good time was had by all and that was the goal! 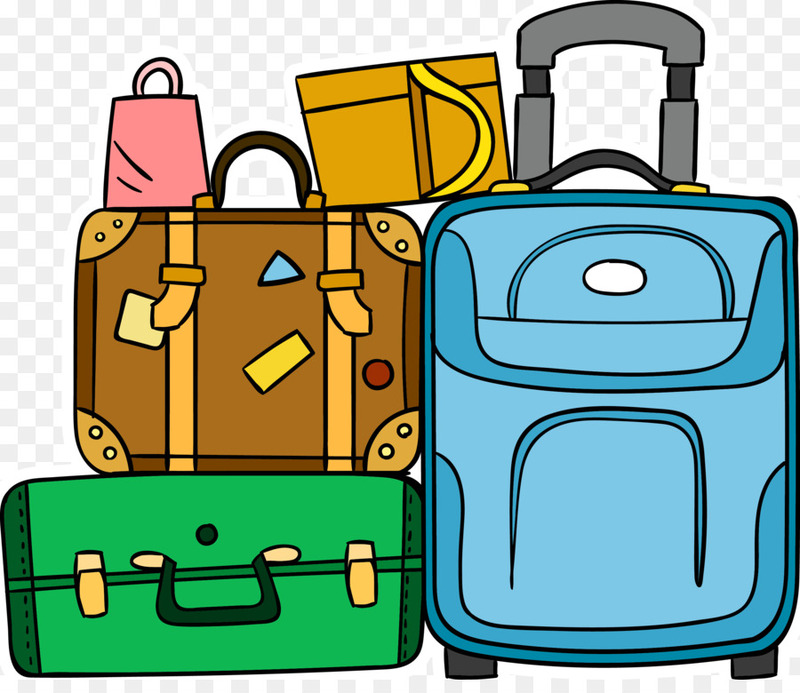 This entry was posted in Aging Gracefully, Humor and tagged Food, friends, fun, necessary items for trips, packing for travel, packing light, traveling, weekend trips by Kate Crimmins. Bookmark the permalink. I have passed this lovely quality to both of my children. You could be describing me in this post! There are a lot of people like us! 🙂 So true! Over the years I’ve had enough bad traveling experiences to know that it’s best to plan for any contingency. One of my favs was when I flew out of Philadelphia at 6 a.m. at the start of Desert Storm. They eliminated outdoor luggage check and the lines were out the door. There were 200 people standing in 20 degree temps with their shorts and sandals on for their Florida trip! My goodness, I pack for the apocalypse too 😀 I do have acid reflux, and migraines. So yeah, not leaving home without the Prevacid, and Tyleonol! 😀 Oh, and the hand lotion! Never go anywhere without that, and my asthma inhalers. Heck no! My cats must think I’m a walking pharmacy! I was visiting Phoenix and it’s very dry there. More dry than I am used to. I had to buy a heavier moisturizer (like axle grease) because my regular one wasn’t doing it! I always say – you need as much for a weekend as you need for a week…travelling light is expensive and frustrating to my mind.. I want what I want, not a substitute !!! I went to the shore when I was much younger and forgot all my makeup. We were meeting up with friends so I had to go to the drugstore and buy some. I got just enough so I wasn’t bland. My stepson went (lives in Denver) went on a New England camping trip. He mailed his camping equipment because it was cheaper than added luggage on a plane. Good luck! Oh! The uncertainty of it all! I’m glad everything went well for you. We weren’t dressing up for anything so at least I didn’t have that worry. My electric toothbrush cracked and harmed many of my teeth, so now it gets used to scrub the bottom of feet. Oh no! I never heard of that happening! I’m currently travel to another state for a wedding. You would think I wouldn’t need much but I pack like you do. The trunk is full! Packing to travel for a formal occasion is the worst. Then I do take jewelry, makeup, and all that stuff. It’s still hard to look good when the hotel has lousy mirrors! We did fine! No need for any meds and we had too much food. That was all good! I’ve gotten to be a pretty good packer (mostly because my husband insists that I have to lug what I pack). But it really helps if the destination has a single – and warm – climate. Last summer when I had to pack for both hot, hot (at the time) Washington and an Alaskan cruise, I didn’t do so well. My hair is usually a disaster on trips… but I normally hide it under a hat. Hair, makeup and jewelry all suffer on trips. Too much stuff to take so I keep it simple! Hubby is King of the Lists, and it is a War and Peace job should we be going anywhere. Even Maggie has her own space in the car! Top of the list is always meds. Then everything else in order of washing, wearing, food. I loved it on the boat. Top up on water and fuel, untie and we’re off. No packing, no list. Bliss. You have to roll with it if you forget something. If it’s truly important you can go out and find it. You need less of one thing but more of another! Never works! Packing light is an art . . . that I’ve never mastered. Me too. I would have thought that you were a minimalist. I’m definitely not although I’ve ditched things that were more important to me in the past. I’m getting better at less clothes but it’s everything else that is expanding! That’s true. I didn’t talk about clothing. Other than some for hot weather and some for cold, I didn’t need duplicates. I didn’t take jewelry or makeup either. The meds and other stuff have taken over! Sounds like me when I pack to go to Boulder Creek for the golf tournament each year. All my husband is concerned about are his golf clubs and clothes for golf. I have to make sure I have things to eat and the right clothes. It takes planning for me no matter how short the trip is. You only took two pairs of shoes?! That’s very impressive! I’m glad that you had a great time. I am sure that the cats are glad to have you back! The cats yes, Vecro kitty Gracie is with me all the time. ALL. THE. TIME! And don’t forget the week it takes to put it all back into its original place when you get home. I hear you when you say you don’t want to be itchy, hungry or cold. Me, neither. Way to go, Kate! Oh the laundry afterward! You wash everything whether you used it or not! Oh, I hate packing even for 48 hours! There is something about getting older that makes you want to be prepared for anything. But I try to pare it down to one roll-on suitcase and some crackers. Surprisingly we got it all down to one piece each. It was a miracle considering the bulky fleece throw. Yes, the good news is that I didn’t need any of the drugs! I feel you, especially because of my food restrictions. What if I can’t find food at the destination that is gluten-, dairy-, and egg-free? Oh, and then there are the supplements…. I didn’t take my vitamins. I thought for 2 days I can do without. I was! We did take a cooler with drinks and food that needed refrigeration but that was to be expected. I’m notorious for over-packing. Traveling by car makes for a more pleasant packing experience than flying. By far! If I’m in doubt about which pair of shoes to take, I’ll take both if by car! I find that if I’m going to feel comfortable where I’m going, then I need to bring a lot of what makes me comfortable with me. Of course, car travel lends itself to this philosophy much more easily than flying. But even then, I’m good for taking too much stuff with me. A woman has to know her ways, and stick with them. You hit it on the nail. If I want to be happy, I have to have the things that make me happy! I have not always done that and ended up paying a fortunate for a hair care product or a heavy moisturizer in a desert area.